This is the third class in the You Can Fix Anything! series. Session A is a required prerequisite for this class, click HERE to sign up for Session A as well. To sign up for the entire three session series and enjoy a tuition discount register HERE instead. In Session C we will CUT OUR KNITTING in order to learn how to darn holes. We will explore the Visible Mending Movement, learn to darn our knitting and get more wear from our handmade clothing. This class will focus mostly on our stockinette swatch with the option for fast fixers to choose other swatches to practice on as well. 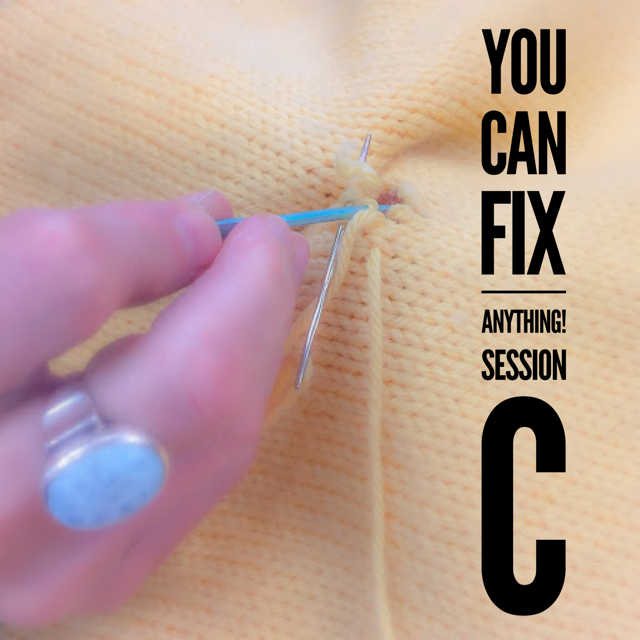 This class translates nicely beyond handknits and can be applied when darning sweaters and socks- even store bought knitwear.